Mark Landrieu graduated from Nicholls State University with a B.S. in Business Administration/Marketing and has been a Broker for over 30 years. 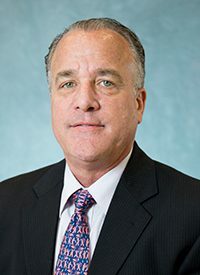 Since 1980, Mark has specialized in commercial real estate transactions in the New Orleans Metropolitan Area, primarily in the Central Business District. Mark has completed major site acquisitions for development and building acquisitions for conversion projects throughout the Central Business District and Historic Warehouse District. Mark was a Charter Member of the Young Leadership Council, Past Chairman of the Historic District Landmark Commission, Past Board Member for New Orleans Center for the Creative Arts, and Past Board Member of the Transportation Center Authority otherwise known as Union Passenger Terminal. Mr. Landrieu lives In New Orleans, is married to Sara Landrieu and has five children.